A son decided to donate one of his kidneys after he found out that his father’s donated kidney had completely failed due to a bad infection. 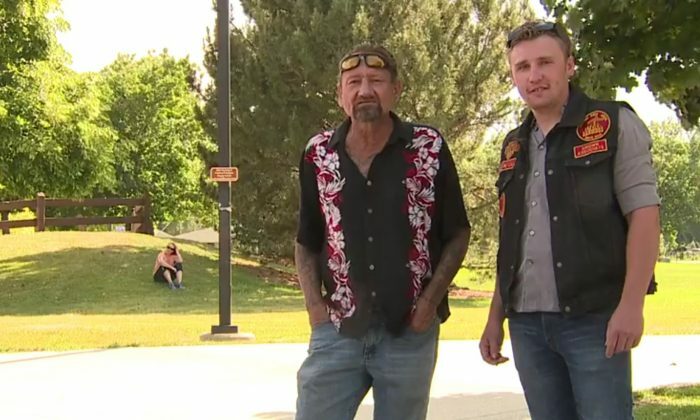 Matt Fulton and his father, Don Fulton, are a close father and son team who would regularly spend quality time bonding over their passion for Harley Davidsons and cruising through the streets of Denver, Colorado. But Don’s road in life hasn’t been smooth sailing since he was diagnosed with a rare disease called Berger’s disease, where trapped antibodies cause inflammation, hindering the kidney’s ability to filter waste from the blood. The disease left Don in need of a new kidney, and after six years of kidney dialysis, he was fortunate enough to receive a kidney from a donor in 2011. Unfortunately, just seven years later, a leg infection caused Don’s new kidney to fail completely. Upon hearing the news, his 23-year-old son gifted his own kidney without a moment’s hesitation. He contacted Presbyterian Saint Luke’s medical center (PSL) in Denver to get the process started given the urgency of his dad’s condition. Without Matt’s help, Don may not have been able to secure a donor, given the three to five year wait for a kidney in Colorado. There are currently 2,600 people on the waiting list for a kidney, with 19% of these people having been on the list for at least five years, the Department of Motor Vehicles reported. There are multiple waiting lists across the United States for those in need of a kidney, since different states have different waiting times. But with the high costs incurred with interstate travel, very few people are able to secure kidneys outside of their state, given the approximately 48 to 72 hours a patient has to travel to the donor’s hospital before the kidney expires, according to the Slate. If this transplant goes well, Matt hopes to have more Harley rides with his dad.